We recently received an excellent review of Boat Beacon in the German Yacht magazine including some great screen shots. It generated a lot of interest with German boaters. We popped down to the Southampton Boat Show to share our wares and look for new App ideas. We also got a chance to take Boat Beacon out for a spin on a $1M Speed boat and test at high speed! Here are some real time screen shots from the boat and of Boat Beacon’s display. All lined up in real time perfectly. 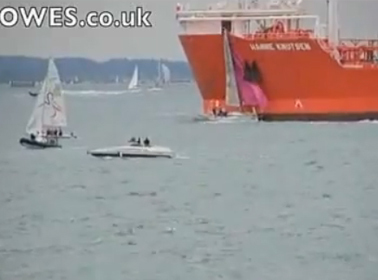 We are on the purple boat in the centre of the screenshot doing just over 20Kts overtaking Red Falcon which is to port. We chatted with McMurdo about their new and very popular S10 and Kannad R10 Personal AIS Beacons (see Panbo’s article) – flying off the shelves like hot cakes. They appear on Boat Beacon when activated and in test mode, but were showing up as unknown ships! Time to add some proper support. Show them with the correct AIS SART symbol (red cross) , show the Safety message sent by the device and alarm if one appears within range. The typical range quoted for these beacons at sea level is 4 miles. With Boat Beacon using shore based receivers we should be able to see them further away at upto 10 miles out! Any volunteers for testing? 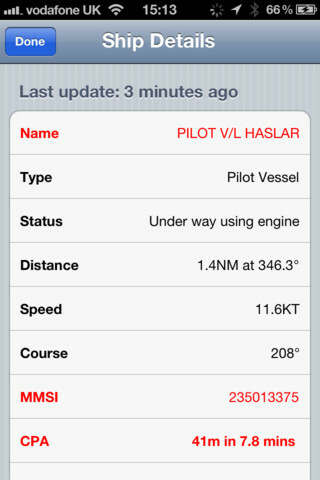 The latest Android version (1.2) of Boat Beacon now has AIS SART support and it will be included in the next iOS release. 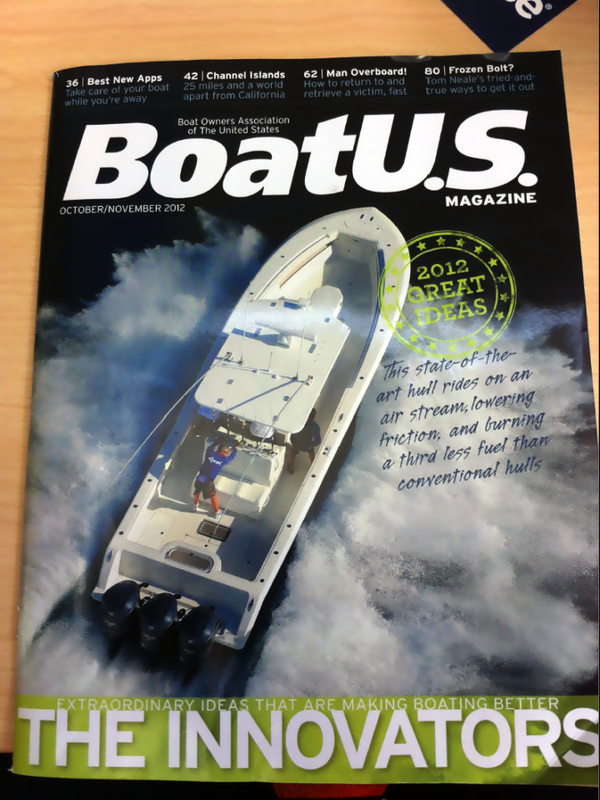 We met up with Yachting Monthly Editor, Keiran Flatt and he is going to publish our Marine Apps survey on-line and in the next print edition and he also had some ideas for new Marine Apps he would like to see. He is thinking of setting up a photo shoot and story about our company with a trip down the Wye to the Severn from our offices on Sarita. A fantastic day and some great new ideas and opportunites for Boat Beacon and for some new Apps. 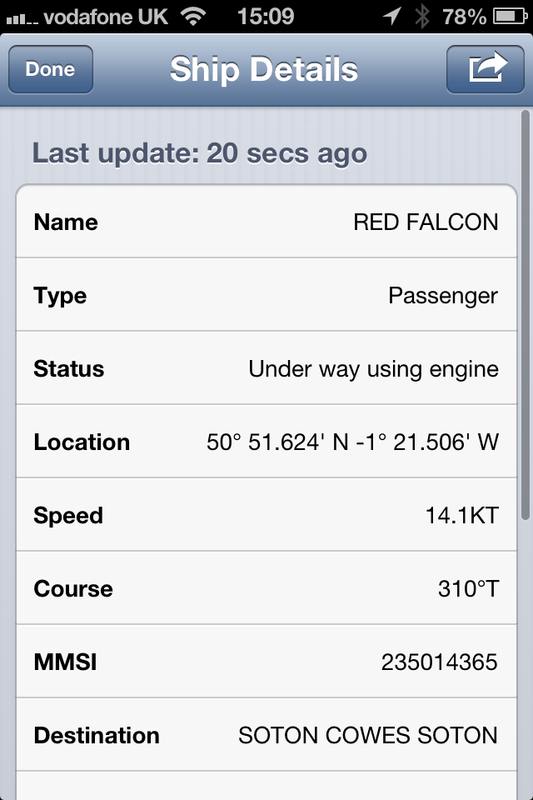 The Boat Beacon Story – AIS Marine Navigation on an iPhone. by Steve Bennett, Captain, Pocket Mariner. I sail a 30 foot Catamaran in the Bristol Channel, one of the most challenging areas of water in the World due to its high tidal range, currents and sandbanks – see http://www.bcya.org.uk/content/sailing-bristol-channel . As with sailing in any waters, you need to keep in mind ports of refuge (most harbours dry), keep an eye on the weather (the channel faces West or South West, the direction of the prevailing winds) and keep a careful eye open for the very large vessels that use Bristol, Milford, Cardiff and Swansea. 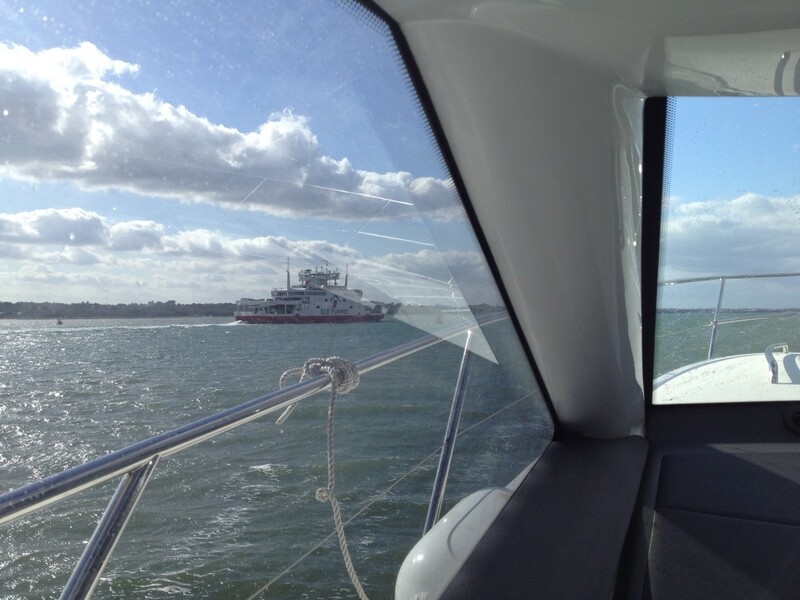 With a following tide of up to 8 knots these vessels can have a speed over ground (SOG) of over 25 knots (30 mph!) – 75,000 Tonnes approaching at 30mph! 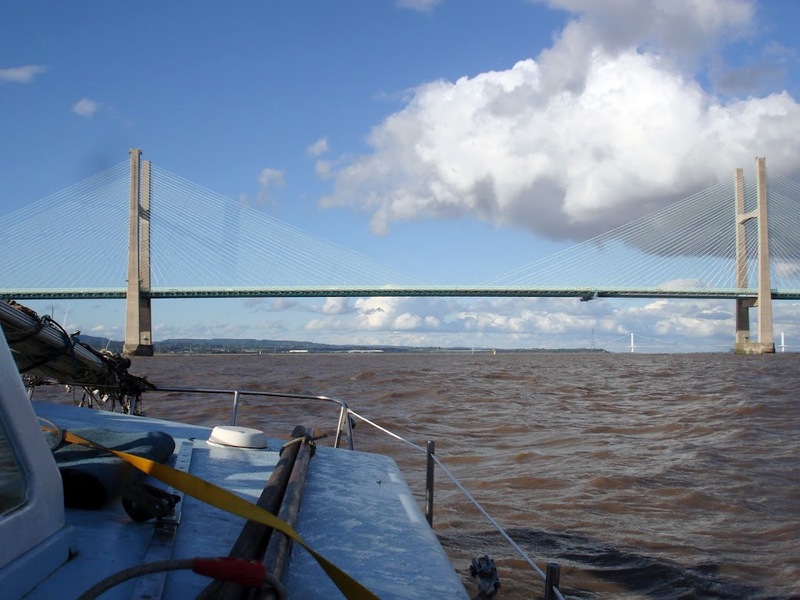 Judging their position versus yours as you approach the narrow Channel under the Severn Bridge is challenging even in good visibility – in poor it’s beyond scary! It’s vital you keep out of their way because they can’t turn or stop quickly! At 25 knots they can appear from over the horizon in less than 5 minutes. Survival depends on you spotting them and getting out of the way. Even if they could see you they probably couldn’t avoid you in time – you just “don’t want to mess with them”! The International Maritime Organization‘s (IMO) International Convention for the Safety of Life at Sea (SOLAS) requires AIS to be fitted aboard international voyaging ships with gross tonnage (GT) of 300 or more tons, and all passenger ships regardless of size. AIS works a bit like radar, but better. Ships continuously transmit their details and position and can be displayed on a live map display. The Ship AIS units cost thousands of dollars. Small AIS receivers are available for around $400 which will allow you to show these boats on a computer screen including their course, speed and their MMSI – Marine Telephone Number – so you can call them up on VHF radio. But, that requires a large outlay and a computer screen or an even more expensive dedicated unit or Chart Plotter. Worse than that there is also the horizon problem. An AIS receiver can only see as far as the horizon. For an aerial mounted at deck height as many are, the horizon is about one nautical mile away ( http://en.wikipedia.org/wiki/Horizon ). 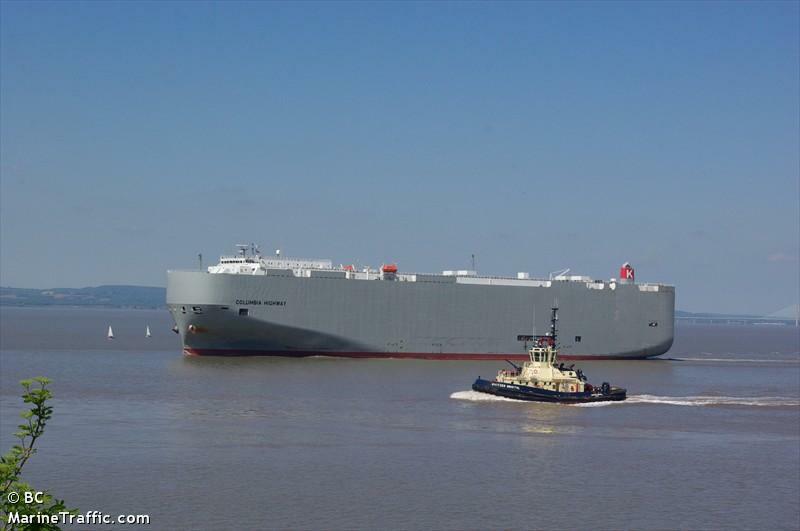 A ship with its AIS aerial at 10m above sea level has a horizon of about six miles. 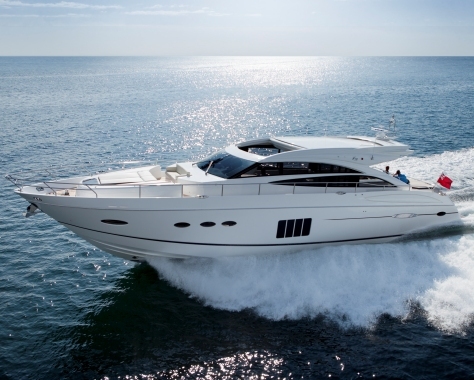 With an approach velocity of 28 knots it could be upon you from nowhere in 15 minutes. This is where the network of shore-based AIS systems come to the fore. As long as you are within GSM coverage and there are AIS shore stations in your area then you can pickup AIS via the Internet and not only see over the horizon but anywhere in the world. There were already a couple of iPhone apps available which will receive internet AIS data and plot ships’ positions over a Google map. One such app, widely used by sailing fans (though not necessarily sailors themselves) love it for spotting, watching and learning about ships around the world from their desk or the harbour-side cafe. It has even been featured on CNN. I tried using it in the Bristol Channel and it was a decent app, but it’s clearly aimed at landlubbers and there were several key features that, as a Skipper, I needed from an AIS app that this kind of app doesn’t provide. Collision Detection in the background and being able to transmit and share my position on global AIS systems Being the two most important. I wanted to be alerted if I was on a potential collision course with another boat that I might not even be able to see yet and I didn’t want to have to keep checking a screen every five minutes. I have been developing apps for mobile devices for over 15 years and decided to put that experience to the task of creating an ideal app for sailors like me – with the result being Boat Beacon. Not only will Boat Beacon display ships and their information on a Google map, it continuously monitors all ships within a 60 mile radius, 5 to 10 times further than a conventional AIS receiver on my boat could do, and calculates their Closest Point of Approach (CPA). If any are going to be within 100m of me within the next 10 minutes, Boat Beacon alerts with an alarming Big Ship’s horn – plus a vibration and popup notification. 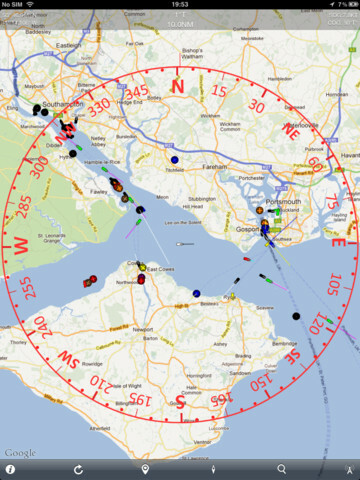 We have tested it out in the Bristol Channel and on a misty day in the Solent and it has proved very reliable and accurate, with no false alarms and no missed alarms. 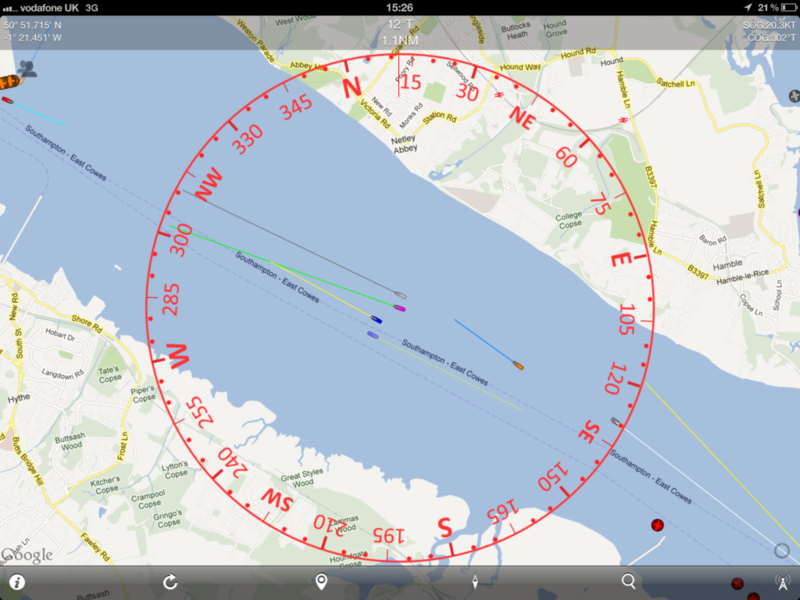 Boat Beacon compass view on an iPad around the Solent. Its AIS transmit feature , my wife’s favorite feature, as she can now keep an eye on me and where I am out sailing in the Bristol Channel from a web page on her MacBook at home! A fully gimballed compass and rangefinder overlaid on the map so you can sight ships and shore stations, know their bearing and how far away they are. The ability to highlight other Boat Beacon boats around you so you can keep an eye on the race you are in or the flotilla you are sailing with and a boat to boat messaging feature so you can chat with them. Overlay your planned route on the map (Waypoints) and show your track history. Potential Collision detected. Closest Point of Approach – 41 metres in 7.8 mins. Obviously, Boat Beacon should only be used for basic navigation reference in Coastal areas where there is internet and shore-based station coverage. It should not be solely relied upon to determine precise locations, proximity, distance, or direction. There is no replacement for the Skippers’ and their crews’ eyes and the Skipper’s ultimate judgement. There are some possible drawbacks with relying on an Internet-based AIS for Coastal Navigation. It relies on you having Internet coverage, however most popular coastal areas in the US have cellular data access extending 12 or more miles out to sea. The UK has nearly complete coastal coverage out to 12 miles. It relies on AIS shore stations covering your area. The network of stations Boat Beacon can access covers the majority of popular coastal and harbour areas. It typically has live data available on over 45,000 ships around the world and coverage is continually increasing. In the unlikely chance that there is no coverage in your area then club together, set up a shore station and join the network! In some cases, shore-based receivers can be provided for free – see Cover my area for more information. Another reservation is that you won’t show up on the big ships’ AIS systems unless they have an Internet AIS feed too. However, as I mentioned earlier, even if they can see you they are unlikely to be able to do much to avoid you in time!